Xilinx has taped out the semiconductor industry's first 20nm All Programmable device. Xilinx said the ASIC-class programmable architecture, called UltraScale, was developed to scale from 20nm planar, through 16nm and beyond FinFET technologies, and from monolithic through 3D ICs. 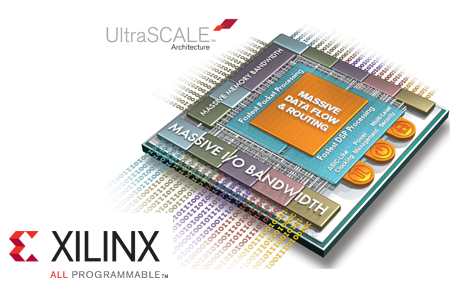 This on-chip architecture will offer massive data flow and routing capabilities. Xilinx worked with TSMC to infuse high-end FPGA requirements into the TSMC 20SoC development process. Xilinx and TSMC also collaborated on 28nm technologies. "With the industry's most aggressive 20nm tape-out schedule, I believe Xilinx is much greater than a year ahead of our nearest competition for high-end devices and about a half a year ahead for mid-range devices," said Victor Peng, SVP of Programmable Products Group. "When you combine TSMC's technology, our UltraScale architecture, and co-optimization with our Vivado Design Suite, we believe we are about a year ahead in delivering 1.5–2X more realizeable system-level performance and integration—an equivalent to a generation ahead of our competition." Potential applications for UltraScale devices include 400G OTN systems with intelligent packet processing and traffic management, 4X4 Mixed Mode LTE and WCDMA Radio equipment with smart beamforming, video displays at 4K2K and 8K with smart image enhancement and recognition, high-performance systems for intelligence surveillance and reconnaissance, and high-performance computing applications in data centers. Sprint completed its acquisition of Clearwire. Each Clearwire share of Class A common stock was converted into the right to receive $5.00 per share in cash. The acquisition brings full control over Clearwire's considerable spectrum resources. The deal was first announced on December 17, 2012 and negotiations continued until Sprint's final offer of June 20th. Sprint has argued that its Network Vision architecture will be able to take full advantage of Clearwire’s complementary 2.5 GHz spectrum assets, while achieving operational efficiencies and improved service for customers as the spectrum and network is migrated to LTE standards. 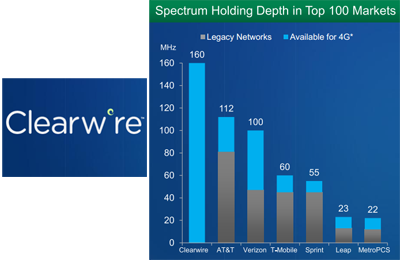 Clearwire holds the largest spectrum portfolio in the U.S. but in upper bands. Its spectrum is an average 163 MHz in the top 100 U.S. markets. Clearwire operates a nationwide WiMAX network and has been planning to make the transition to TD-LTE. Its main wholesale customer and investor is Sprint, which has extended its 4G agreement through 2015. The companies have outlined ways of bridging their FD-LTE and TD-LTE networks with dual-mode devices that are under development. AT&T is rolling out solar-powered mobile charging stations in key spots across New York City. 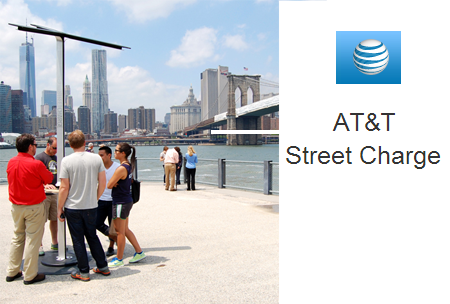 The AT&T Street Charge Initiative is a pilot program aimed at providing a public convenience. AT&T said the idea arose after last year's Hurricane Sandy, when many people struggled to charge their devices. The new charging stations are being placed in high-traffic locations and will remain in place throughout the summer and fall. To build the solar charging stations, AT&T partnered with Goal Zero and Brooklyn-based design firm Pensa. The charging stations are also intended to complement AT&T's Wi-Fi in the Parks program with the City of New York, which is currently providing free Wi-Fi in 28 NYC parks the five boroughs. 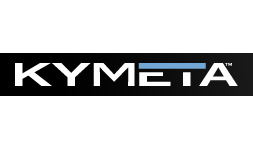 Kymeta, a start-up based in Redmond, Washington, closed a $50 million Series C financing for its Metamaterials Surface Antenna Technology (MSA-T). The company was incubated by Intellectual Ventures and is backed by investments from Bill Gates, Liberty Global and Lux Capital. Kymeta has said its mTenna product line will simplify the satellite connection needed for broadband Internet on the go, anywhere in the world. The company uses metamaterials to manipulate electromagnetic radiation to electronically point and steer a radio signal toward a satellite. The technology could be used to maintain a continuous broadband link between a satellite and a moving platform such as an aircraft, car or boat. The metamaterials could be manufactured using established lithographic techniques. The technology will be used in flat, thin, light, and highly adaptable antennas and communication terminals. Kymeta has already demonstrated a metamaterials-based antenna establishing a connection with a Ka-band satellite. The connection used an aperture size of 15 by 17 inches and was about one centimeter thick. The antenna was powered by a USB cable using less than three watts of power to drive the electronic beamforming antenna. In the latest funding round, existing Kymeta investors including Bill Gates, Lux Capital and Liberty Global were joined in the financing by Osage University Partners and The Kresge Foundation. Earlier this year, Kymeta announced a partnership with Inmarsat to develop a beam forming antenna that would enable business jets of any size to access high-speed broadband connectivity globally through Inmarsat’s Global Xpress (GX) service. The advanced and proprietary Kymeta Aero Antenna will be designed for GX. Kymeta is the second company to spin out of Intellectual Ventures. The first, TerraPower, was created in 2008 to develop a new class of nuclear reactor. Infonetics Research has increased its VoLTE forecast following the rollout experience of SK Telecom earlier this year. 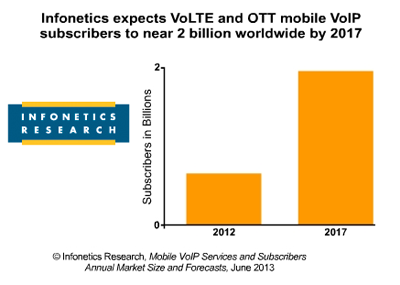 Infonetics now expects more than 8 million VoLTE subscribers and 12 commercial rollouts by year. "On the VoLTE front, the success of SK Telecom's VoLTE adoption-3.6 million subscribers in April 2013-has lifted our forecast: we now expect 12 commercial VoLTE networks and 8 million VoLTE subscribers by year-end, with about three-quarters of those in Asia Pacific," stated Stéphane Téral, Infonetics Research's principal analyst for mobile infrastructure and carrier economics and co-author of the report. Meanwhile, over-the-top mobile VoIP subscribers nearing 1 billion mark. "While Skype dominates the over-the-top mobile VoIP space, the market is seeing other applications such as Fring, KakaoTalk, Line, Nimbuzz, WeChat and Viber gain in strength," notes Diane Myers, Infonetics Research's principal analyst for VoIP, UC and IMS. "But the fact remains that most OTT mVoIP providers are making very little money per user. In 2012, the average revenue per user was a meager US$7.13 annually. Since this alone is an unsustainable business model, most providers are turning to advertising, third-party apps and wholesale arrangements with traditional operators." Lumos Networks launched 100Gbps wavelength services across its Mid-Atlantic fiber network., which spans over 5,800 route miles across Virginia, West Virginia and portions of Pennsylvania, Kentucky, Ohio, and Maryland. Lumos said a single 100 Gbps wavelength is more economical for its customers than operating multiple 10 Gbps wavelengths. “This service is poised to handle the ever growing demand for increased bandwidth of both wholesale and enterprise customers. 100Gbps is in early adoption stage and is being used by carriers to support network transport. Similar to 1Gbps wavelength service, Lumos anticipates increased adoption as enterprise demand increases. 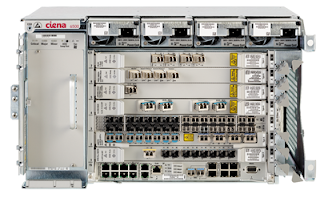 By launching this product today, Lumos is demonstrating that they are ready to meet the growing demand for this high capacity service,” said Lumos Networks Vice President of Product Management & Engineering Craig Drinkhall. “We see a migration to 100Gbps across our footprint as necessary to meet the dramatic surge in network traffic,” he added. Sandvine released an updated version of its Service Delivery Engine (SDE) platform version with new Policy and Charging Rules Function (PCRF) functionality to roll out revenue generating services faster than ever before, such as roaming notifications, bill shock prevention, family plans and data bundles. Sandvine’s SDE is a fully-compliant PCRF product conforming to 3GPP Release 11. It can work in conjunction with Sandvine’s Policy Traffic Switch (PTS) to provide a unified platform for network policy control in fixed, mobile and converged operator networks, or alternatively the SDE interfaces with third party Policy and Charging Enforcement Functions (PCEFs). Unified policy definition, decision and enforcement across the control plane (PCRF) and the data plane (PCEF). Sandvine said its solution has been selected and/or deployed for more than twenty LTE networks. Surfline Communications, a new mobile operator, is planning to launch Ghana’s first 4G LTE service in Q1 2014. Initial LTE coverage will be in the capital, Accra, followed by all major cities and a nationwide rollout. Alcatel-Lucent will provide hardware and software, along with installation, optimization, maintenance and managed services. This includes the LTE Radio Access Network, the Evolved Packet Core, and professional services to install, optimize, maintain and manage the LTE network. 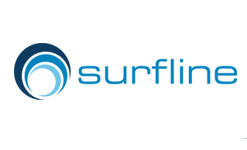 Surfline is owned by Skybridge Investments Ltd. a wholly owned Ghanaian company and headquartered in Accra, Ghana. CloudSigma Joins Equinix in Zurich and Washington, D.C.
CloudSigma has deployed in Equinix’s Zurich and Washington D.C. facilities as part of a new partnership to market cloud and data center services in North America and Europe, with future plans to deploy in newly emerging digital markets such as Brazil, the United Arab Emirates and Asia Pacific. 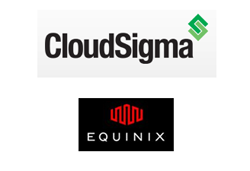 Equinix will offer CloudSigma as a best-of-breed cloud provider to its existing customers with a direct connect private line, making it easy for companies to adopt hybrid cloud architectures. In turn, CloudSigma will gain access to Equinix’s 4,000+ customers to offer its uniquely customizable and unrestricted public cloud IaaS. “CloudSigma is a global company with ambitions to expand its presence in Europe and North America, as well as newly emerging digital markets such as Brazil, the United Arab Emirates and Asia Pacific, fueled by our existing customers’ demand. Equinix is a perfect strategic match for this expansion due to its innovative culture, proactive partnership approach, global footprint and the IBX connectivity solution," stated Bernino Lind, chief operating officer at CloudSigma. CloudSigma is based in Zurich and also operates a facility in Las Vegas. GTS Central Europe, which provides integrated telecommunications solutions and data center services throughout Central and Eastern Europe, has deployed Ciena’s converged packet optical solutions to upgrade its international network to 100G. The deployment uses Ciena's 6500 Packet-Optical Platform with WaveLogic 3 Coherent Optical Processors to provide 100G capacity along its high-traffic routes in Poland, Czech Republic and Germany. The 6500 platform will support 100GE services in addition to unregenerated 100G wavelengths over distances of 1400 kms on GTS’ transport network. GTS had previously deployed Ciena’s 4200 Family, CoreStream Agility Optical Transport System and packet networking products throughout its network. CommScope has acquired Redwood Systems, a start-up offering LED lighting solutions and integrated sensor networks for data centers and buildings. Financial terms were not disclosed. Redwood Systems is based in Fremont, California. Redwood Systems developed what is believed to be the world’s first smart building platform that powers and controls lights with a high-density sensor grid. This platform provides granular monitoring of space utilization, temperature and power consumption. CommScope said the acquisition advances its position in intelligent building infrastructure solutions. The Redwood plant is being enhanced to optimize its operation over twisted pair cabling. This will enabling it to be deployed over CommScope's readily available standardized structured cabling infrastructure. 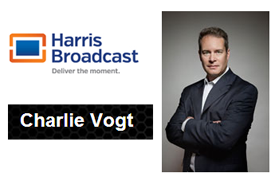 Investors in Redwood Systems included Battery Ventures, U.S. Venture Partners, Index Ventures and Mitsui & Co, Ltd.
Charlie Vogt resigned as President and CEO of GENBAND and accepted a new CEO leadership at Harris Broadcast. Vogt has been CEO of GENBAND since 2004, Before that, he was president and CEO of Taqua, an IP switching company, which was acquired by Tekelec in 2004. GENBAND named David Walsh as President and CEO. He also serves as Executive Chairman of GENBAND. Walsh has been a Managing Director at One Equity Partners (OEP) since 2001, the private investment arm of JPMorgan Chase & Co. He joined the GENBAND board upon the merger of NextPoint (an OEP portfolio company) with GENBAND in 2008. He assumed the position of Chairman in 2010 following the acquisition of the Nortel Carrier VoIP and Application Solutions business, with OEP providing the investment capital. 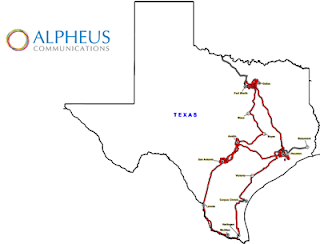 Alpheus Communications, which operates metro-regional fiber infrastructure in Texas, announced multiple connections to CyrusOne data centers in Texas. Alpheus fiber network services are now available in three CyrusOne data centers – two in Houston and one in Dallas. Alpheus said its expanded data-center connectivity footprint complements its MPLS IP VPN and high-bandwidth fiber services, which many customers already use for their cloud environments. In addition, Alpheus offers Ethernet LAN (ELAN) service, which is a secured, Layer 2 managed network solution that businesses with multiple locations can use to seamlessly connect their facilities for voice, data and video applications.